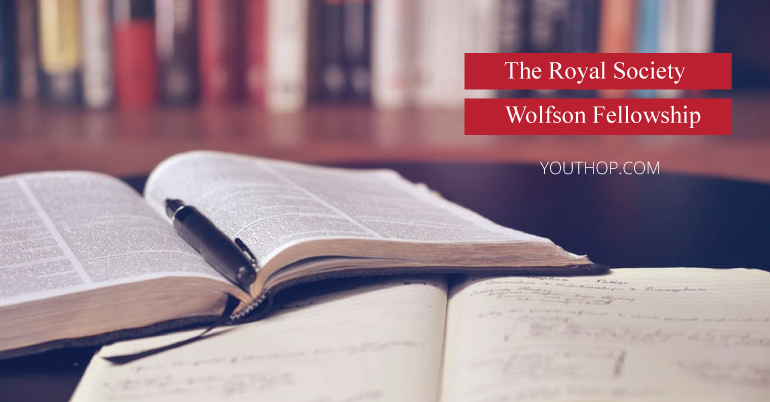 The Royal Society Wolfson Fellowships will provide long-term support to UK Universities and research institutions in making strategic research appointments. Host organisations may apply in conjunction with the researcher for flexible funding of up to: a) £250,000 over five years, to contribute to a package of support aimed at attracting to the UK outstanding scientists and their teams, or b) £150,000 over five years, to contribute to a package of support aimed at retaining within the UK outstanding scientists and their teams. Funding may be included for salary enhancement, research expenses and equipment. Strengthen research in the UK’s best University departments and Research Institutions in fields considered to be strategically important by the institution. Enable UK Universities and Research Institutions to attract to the UK outstanding researchers from overseas in strategic areas. Help maintain the strength of the best research departments in UK Universities and Research Institutions by ensuring that they can retain their most talented scientists in strategic areas. Provide flexible funding to excellent research leaders including established scientists whose career is on a steep upward trajectory, to conduct high-quality research. The programme will provide funding in all fields of the natural sciences. The Vice-Chancellor, Institute Director or their representative (Pro-Vice Chancellor of Research or Departmental Head) will be required to state why the proposed field of research is a strategic priority for the institution or department, demonstrating commitments the institution has made to highlight the strategic importance of the field, as well as what impact the nominated candidate will have on the science and the department and the potential benefit to the UK science base. As such, the Society would expect one retention application per department per round and instances where more than one application is submitted by the same department, a clear case including prioritisation of the nominations must be provided. Retention of the candidate in the UK, if appropriate may form part of that case. The application should also outline the process undertaken to select the candidate nominated by the institution. The institution will also be required to make a commitment concerning what other support (direct or in-kind) it will provide. The scheme provides up to five years of funding. Applicants must either currently hold a permanent post (funded by the host institution and can include partial funding of salary from an external grant) or have received a firm offer to take effect from the start of the appointment. Applicants must conduct research within the Royal Society’s remit of natural sciences, which includes but is not limited to biological research, chemistry, engineering, mathematics and physics. The Royal Society does not cover clinical medicine (such as patient orientated research and clinical trials), social sciences or humanities, other than when working in partnership with organisations. The Vice Chancellor, Institute Director (or their nominated representative) will need to contact the Royal Society Grants Office by email ([email protected]), after which a weblink to a nomination form on the Royal Society’s Grants and Awards management system (Flexi-Grant®) will be provided. After the completed nomination form has been considered by the Royal Society, the nominated researcher (applicant) will be sent a weblink inviting them to complete and submit a full application in that current round on Flexi-Grant®. The Royal Society recognise that there can be urgent time-sensitive recruitment or retention cases where a rapid decision is required outside a current round. Therefore they have a ‘Fast Track’ process available for such applications which can normally be resolved within 5-6 weeks. Please contact the Senior Fellowships team ([email protected]) if applicant wishes to discuss this option.